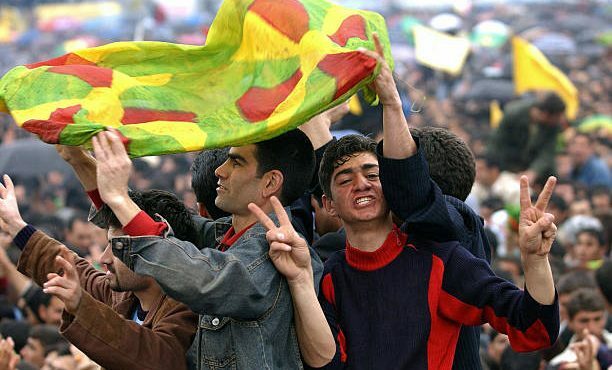 The Kurdish people living in Iraq are celebrating their New Year today. More than 1000 men and women marched to the top of the mountain by offering firecrackers to welcome the New Year. Then the huge fireworks were performed. This festival was excited in Iran, Turkey and Syria, where the Kurdish population lives.